This quote is from the epic Lord of the Rings trilogy by J.R.R. Tolkien, and was said by Treebeard, the wooden Ent creature, about Sauruman, the white wizard. The Ent laments the change of Sauruman, from caring for the things for the forest and nature to ravaging them for his own gain. Using the materials to build machines of war and destruction to conquer middle earth. What is striking is not the character that it’s describing, but how well it describes us of the modern age. There was a time when all metaphors and comparisons were to things found in nature, like weeds in our lives or fruit as the produce or our character. Now, in a post-industrial revolution, we now have the habit of using mechanical descriptions to life and it’s events. That in and of itself is not a problem, but it has lead to other damaging consequences. Everything has become boiled down to the mechanics of the thing. People are considered more or less functional machines rather than biological organisms. 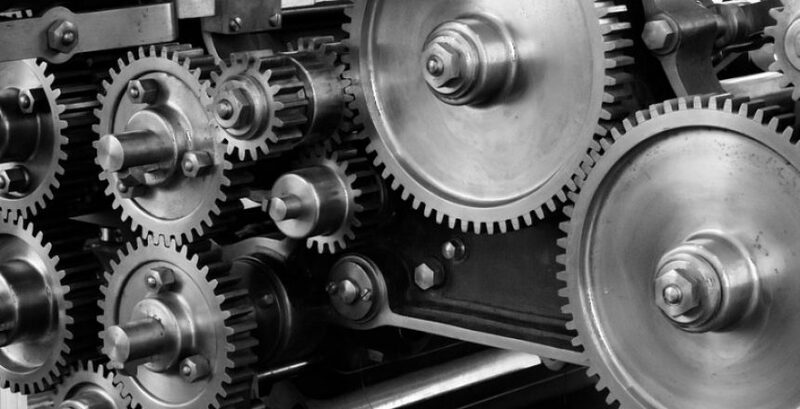 Employees are considered cogs in an engine, not a part of a family. Agriculture has suffered the most from this philosophy, with farmers considered workers more than stewards, and science elevated as the solution for higher industrialized production. What is even worse is the conviction that follows Treebeard’s observation of a metal mind: “[A]nd he does not care for growing things, except as far as they serve him for the moment.” This sentiment is regretfully true of not only agriculture, but of many things in our lives. In America we eat at least two to three times a day, but the person that raised that food is lucky if thought of once a week. It has become trendy to consider “local food,” but what will happen when it becomes passé? Will the farmer be again thrown out of our collective consciousness as he was before? It is a part of our human nature to be most interested in that which serves us most in the moment, but it is not sustainable in the long term. All the great virtues arise from thinking of what serves others more than what serves ourselves. It is that mindset that allows such virtues as patience, compassion and generosity, merely to name a few. Those are the kinds of virtues that sustain, not only your life, but your community. There is much good that has arisen from mechanization (I’m obviously typing this on a computer and placing it on the internet), but we should not ignore the dangers it can pose to our mindsets. As a culture of wires and circuits, we need to beware dehumanizing people as mere extensions of their social media. Regardless of fads, popularity and personal advantage, we need to remember both the growing things and the people who raise them.